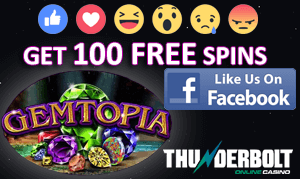 Take advantage of unique offers available only in January at Thunderbolt Casino. You can get up to R10,850 and 120 free spins thanks to the Lord of the Bonus promotion inspired by the film series The Lord of the Rings. You might recall Gimli, a well-respected dwarf warrior? Or two great fellas Merry and Pipin who were Frodo's closest friends? Remember Boromir, a strong fighter? Meet the members of the Fellowship of the Ring and get your free cash and free spins to enjoy your stay at Thunderbolt Casino to the fullest. Gandalf, a wizard and the leader of the Fellowship of the Ring, will use his powers to help you get a 200% bonus up to R2,000. Provide the code TB-GANDALF and make a deposit of R100 and more to qualify for this bonus. As soon as you make use of this one, you can make a minimum deposit of R50 to get 60 free spins for Enchanted Garden II. The coupon code needed for this bonus is TB-LEGOLAS, named after a Sindarin Elf of the Woodland Realm. The two bonuses have to be claimed in the given order. Boromir is an intrepid warrior who will support you on your way to a 150% match bonus up to R3,000. Redeem the coupon code TB-BOROMIR and deposit at least R50 to get free cash credited to your account. Merry and Pipin are here to help you become the Lord of the Bonus. They may strike you as funny, but this is a quite serious offer. Use the coupon code TB-MERRYPIPPIN and make a minimum deposit of R50 to claim up to 180% match bonus up to R2,800 and 30 free spins on the Small Fortune slot. What's more, you can redeem this bonus twice. Dwarves are fierce fighters and Gimli is no exception. He can help you boost your bankroll with R250 free with no deposit needed. Just submit the coupon code TB-GIMLI and free cash will be added to your account. 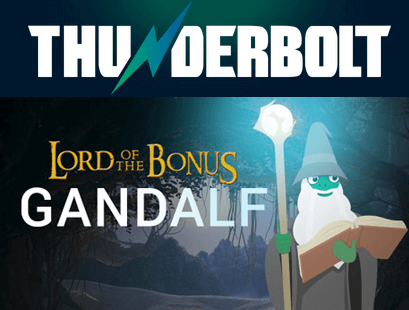 The Lord of the Bonus promotion is available until January 31 and all Thunderbolt Terms and Conditions apply. January 20 is Penguin Awareness Day and you can join the celebration taking place at Thunderbolt Casino. To celebrate Penguin Awareness Day, make at least one deposit until Friday this week and you will get an amazing Penguin Bonus on January 20.